• Star or Nakshatra - Nakshatras are the 27 divisions recognized by the ancient Indian astronomers. Each of the Nakshatras covers 13 degrees and 20 minutes of the zodiac. • Yoga – Union of Sun and Moon gives Yoga. There are 27 Yogas. • Weekday – The time between first sun rise to next sunrise is called a day. The days are symbolic of the ruling planetary energies. • Karana – Karana is one-half of a Moon Phase, for eg: the first 12 hours of New Moon, the final 12 Hours of New Moon, etc. It is enough if only one’s compatibility with the planets for the specified purpose on a particular day and time is ensured for pursuing the following events. LEO – Fixed Lagna fixed: But the 12th house is not free from malefic effect. Mars is occupying the 12th house. But it is in debilitated position. 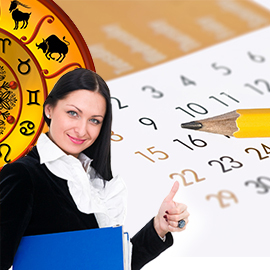 Even if we change the Lagna, the Sun which is more powerful in Leo will be influencing the 12th house. Therefore it is good to do remedy to Mars lord and to carry out the things. Fire ritual to Mars is recommended. The star compatibility with the individual’s chart is not done here. If there is incompatibility, it will also require remedy.